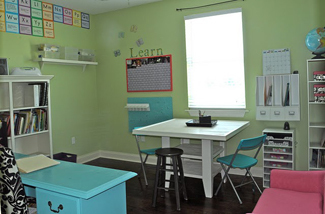 Kellye's schoolroom is bright, cheery and spacious. 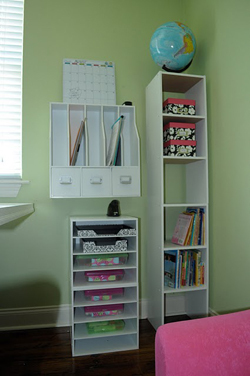 It contains storage units, a work table, Kellye's desk, and a sofa for cuddling up for read alouds. You can learn more about this school room on Kellye's blog.